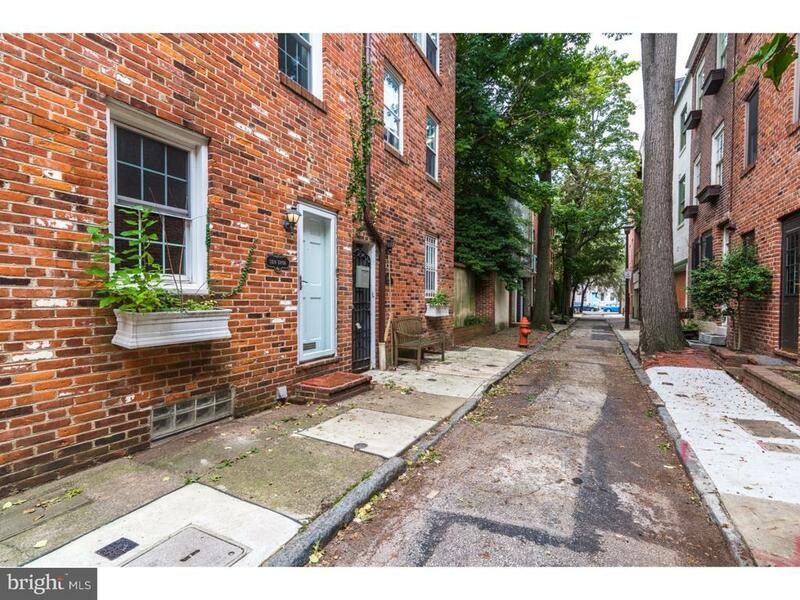 Lovely 2 bedroom home on a quiet block in a splendid Rittenhouse/Fitler location. Nice character, comfortable spaces, and a really livable layout. A very desirable expanded trinity. Updated kitchen and renovated bath. Cute rear patio. Hardwood floors throughout. Brick fireplace. 2 nice-sized bedrooms. In a perfect location, 2124 Tryon offers a 97 WalkScore (100 TransitScore, 99 BikeScore). Within a few blocks of Rittenhouse Square, Fitler Square, South Streets restaurant row and shopping, and all that Center City and University City have to offer. Greenfield School Catchment. Do you have questions about buying, selling or renting real estate in Philadelphia? © 2019 BRIGHT, All Rights Reserved. Information deemed reliable but not guaranteed. The data relating to real estate for sale on this website appears in part through the BRIGHT Internet Data Exchange program, a voluntary cooperative exchange of property listing data between licensed real estate brokerage firms in which Berkshire Hathaway participates, and is provided by BRIGHT through a licensing agreement. Real estate listings held by brokerage firms other than Berkshire Hathaway are marked with the IDX logo and detailed information about each listing includes the name of the listing broker. The information provided by this website is for the personal, non-commercial use of consumers and may not be used for any purpose other than to identify prospective properties consumers may be interested in purchasing. Some properties which appear for sale on this website may no longer be available because they are under contract, have Closed or are no longer being offered for sale. Some real estate firms do not participate in IDX and their listings do not appear on this website. Some properties listed with participating firms do not appear on this website at the request of the seller. Data last updated on 2018-05-30.